At Magowan Tyres we are committed to protecting the privacy and security of our customers and site visitors. 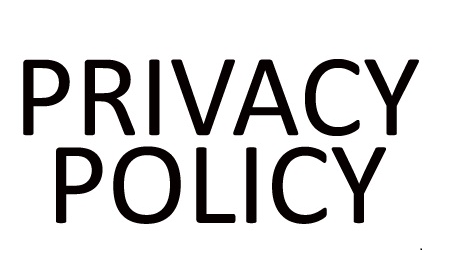 We are open about our security and privacy policies, on this page you can find out exactly which details we receive when you interact with us, how we may use it, and how we try to keep it safe and secure. Who is the registered data controller? When you use this website, visit a Magowan Tyres store, set up a Magowan Tyres business account or contact us by post, telephone, fax, email or SMS, we may collect, store and use certain personal information that is disclosed to us. Information such as your name, status, date of birth, address, telephone, mobile and fax number, email address, details of your vehicle and purchases made. As and where required, such information may also include proof of address. For example, if you decide to use the useful links on our 'winter driving tips' you will be redirected to the AA website (to arrange breakdown cover) and all personal data entered will be their responsibility. includes first name, maiden name, last name, username or similar identifier and title. includes billing address, delivery address, email address, fax number and telephone numbers. We make use of Google Analytics, a web analysis service from Google Inc. to collect information about how visitors use the websites. Google Analytics employs cookies that are stored on your computer in order to facilitate the analysis of your use of the websites. This in turn enables us, Magowan Tyres, to make improvements to the websites based on your browsing activity. The information generated by these cookies is transmitted to Google’s location in the US and stored there. This information includes pages visited, frequency of visits and where visits have come to the site from. The cookies collect information in an anonymous format and also store the IP address of your computer which may be used to provide an approximate location of the visitor. We operate Closed Circuit television (CCTV) systems at both of our sites including around the perimeter of the same. This includes CCTV recording of external site areas covering walkways, roads and other public areas. To run the processes set out above, we may process images of you. This may also capture vehicle registration information. To fulfil your order and any other contractual agreements between us. To provide you with an acknowledgement of order confirmation. To contact you in connection with a vehicle you may have in either of our depots, to advise of any problems or issues that may present. To send you a text reminder prior to your fitting appointment. To send you periodic communications from us (this may include communications by post, e-mail, telephone, text message, picture messaging, fax and SMS), about features, products and services, events and special offers. To find the branch nearest to you and provide you with details. You can ask us to stop sending you marketing messages at any time by following the opt-out links on any marketing message sent to you or by contacting us at mallusk@magowantyres.co.uk at any time. of processing of your personal data. This enables you to ask us to suspend the processing of your personal data in the following scenarios: (a) if you want us to establish the data's accuracy; (b) where our use of the data is unlawful but you do not want us to erase it; (c) where you need us to hold the data even if we no longer require it as you need it to establish, exercise or defend legal claims; or (d) you have objected to our use of your data but we need to verify whether we have overriding legitimate grounds to use it.